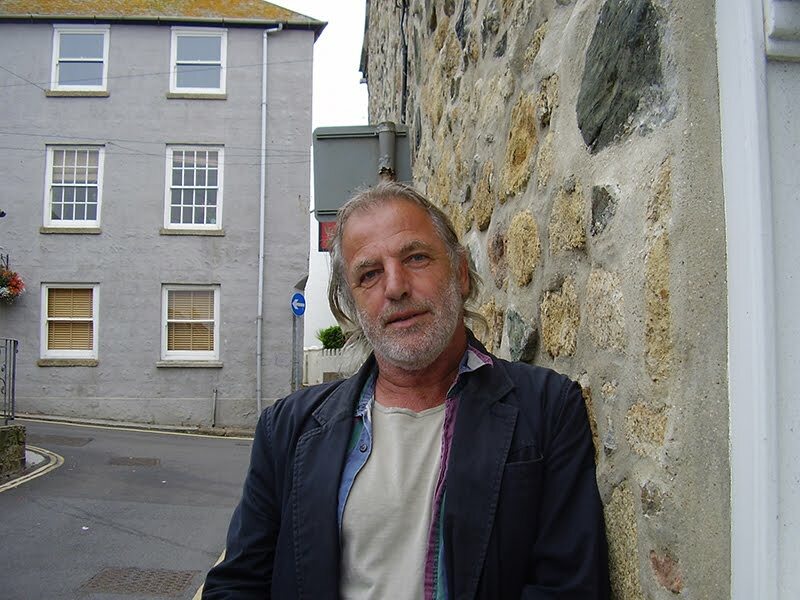 Many more events have been added to the programme for the St Ives Literature Festival - which runs from Saturday 1st to Saturday 8th May 2010. Each day begins with Poetry And Music In The Square - from 12.30 pm to 2.00 pm in Norway Square. Afternoon and evening events then follow each day. Most of these take place in St Ives Arts Club, apart from the final Saturday when the festival moves to The Crypt Gallery at St Ives Society Of Artists. There are now 23 events on the programme with more to be added. Authors and poets appearing include Les Murray, Phil Bowen, Rod Bullimore, Ann Kelley, Damian Furniss, Terence Frisby, Anna Chen, Charles Shaar Murray, Liz Kessler and Penelope Shuttle. 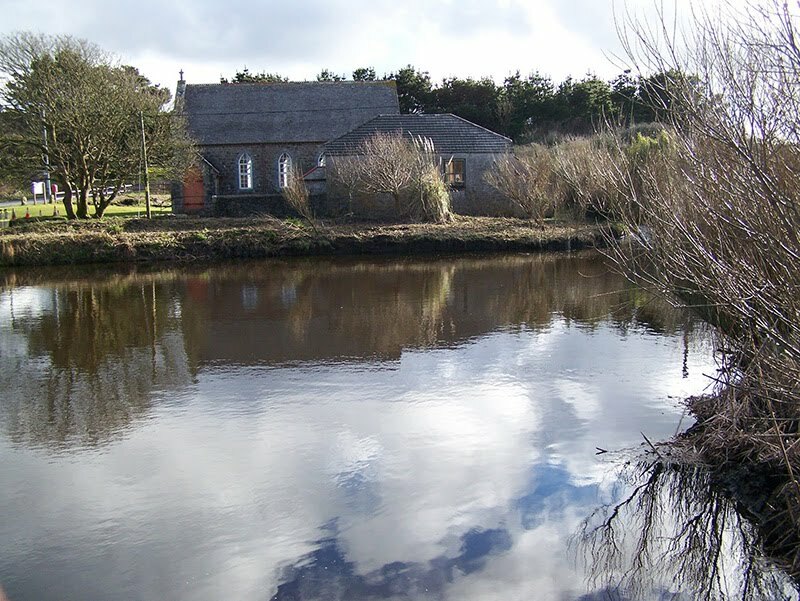 This Friday (April 2nd) the 100 year old St Ives tradition of sailing model boats on Good Friday will continue on Consols Pond. Anybody who wants to sail a boat or simply watch is welcome. Refreshments will be on sale from Hellesveor Chapel from 10.00 am - 12.00 pm. Organised by The Consols Pond Association. News and information about how to join are on their website and blog. I've received an email from the producers of Ramsay's Best Restaurant - a new TV series featuring chef Gordon Ramsay. They are seeking nominations for your own favourite restaurants and specifically mentioned that they are hoping that more St Ives and Cornwall restaurants will be nominated. I'll be voting for my own personal favourite - The Mermaid Seafood Restaurant. Maybe one or two others as well. 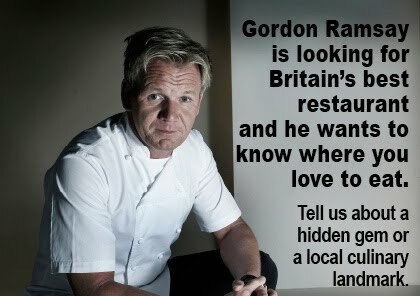 I'll keep you updated if any local restaurants are to feature on the programme. Gordon Ramsay To Open At The Malakoff St Ives ? What looked like a major operation was underway today at The Malakoff (h/t to Tim Andrewes for the tipoff). This involved a crane, a large crew the and installation of what looked like some extremely expensive windows in the space under the Bus Station. Unless St Ives Town Council have finally got "convergence" funding for a luxury skateboard park for the kids - could this presage the long rumoured arrival of Gordon Ramsay in St Ives ? If so - in my opinion - that's great news. It won't do any harm at all to our better restaurants such as The Mermaid, The Loft and SFC. While maybe giving a well needed wake up call to some of our more overpriced, unfriendly and pretentious eating establishments. One of which I visited today - and by the way - smoking outdoors is not yet illegal and in future I'll spend my money elsewhere thanks very much. Interestingly - yesterday I received an email from One Potato, producers of The F Word, asking about possible nominations from St Ives for 'Ramsay’s Best Restaurant'. More on that tomorrow. Meanwhile - Gordon if you're thinking of moving into St Ives you're welcome. Also feel free to join us, in between shifts, at The Ferrets or The Sheaf for the Saturday / Sunday afternoon football ! Looking forward to some great food at the restaurant as well. 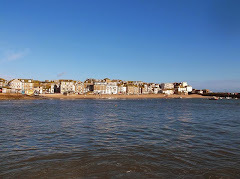 St Ives is now included in the "Street View" version of Google Maps. This gives you a "virtual tour" of town. Click on the image above and then use the arrows to take a stroll along The Wharf to The Sloop, then back along Fore Street - or wherever you want to go. 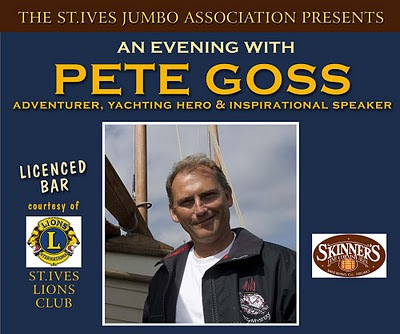 Yachtsman and inspirational speaker Pete Goss will be in town next month - to help St Ives Jumbo Association raise the final funds needed to complete and launch their second Jumbo Lugger. Pete should have plenty of interest to say. His re-enactment of the courageous voyage from Newlyn to Australia in a small fishing lugger is just one of many extraordinary achievements. Competing in the 1996 Vendée Globe, he turned back into storm-force winds in response to a Mayday from French competitor Raphael Dinelli. This rescue scuppered his own chances after 10 years preparation. His dramatic rescue earned him the Légion d’Honneur. Licensed bar - courtesy of St Ives Lions. The Jumbo Association hope to stage their first races in St Ives Bay this summer and plan to launch the new Jumbo on Saturday 12th June. So do go along to support what look like a great evening. St Ives Guildhall, Friday 9th April, doors 7.00 pm. From: St IvesTourist Information Centre - 01736 796 297. For regular followers of the blog - apologies for the lack of posts over the last week. I lost my Internet connection for several days and only got back online a couple of days ago. I've spent the time since catching up on various web projects. 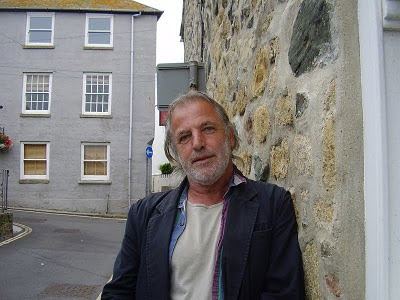 I'll be posting regularly for the rest of the month and thought I'd start with my regular review of What's On In St Ives - and there is quite a lot as the season gets underway. Here is a small selection from each day of the coming week. Tonight (Friday 19th) The Lifeboat Inn have live music from Shoot The Crow. Part of their Irish Folk themed weekend to cash in on celebrate St Patricks Day. Tomorrow night they have another folkie band - Gallowglass. Both gigs start at 9.30 pm free entry. Tomorrow night (Saturday 20th) sees more live music at The Western with The Red Tubes. Support from 8 Bit Messiah and Uh Oh Mexico. Entry is £3.00, starts at 8.00 pm. Sunday (21st) is the equinox and the first day of Spring. You could celebrate at Tregenna Castle with Sunday Lunch and Jazz. Food is served from 12.30 pm to 1.45 pm, music from 12.00 pm to 3.00 pm. Prices from £6.95 for one course. On Monday (22nd) night The Castle Inn have their regular Fun Pub Quiz. Starts at around 8.30 pm, £1.00 entry per person, cash prizes, Chase The Ace with rollover jackpot. On Tuesday (23rd) St Ives Knitting Group will be meeting at St Ives Library at 7.00 pm for an evening of knitting related fun. All welcome, help for beginners, free. 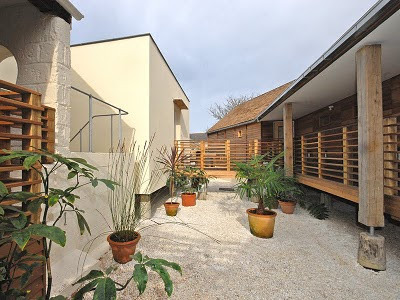 On Wednesday (24th) St Ives School Of Painting have a life drawing class. Starts at 7.30 pm, costs £7.00, no need to book just turn up at the school on Back Road. 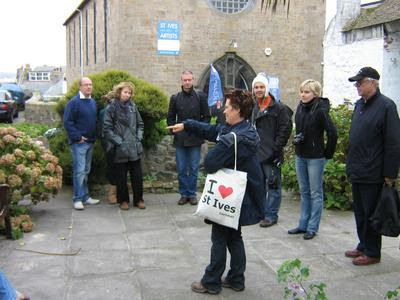 On Thursday (25th) you might try a guided tour with local guide Valerie Hurry - St Ives In The Frame - an insight into the town's art and artists. Meet outside The Guildhall at 11.00 am. Tours run weekly throughout the season. On Friday (26th) its Late At The Tate with free entry to the galleries, music, food and a bar. Starts at 7.00 pm, free entry. St Ives Football Club are staging a gig at St Ives Guildhall next month to raise funds for new changing rooms and general running of the club. 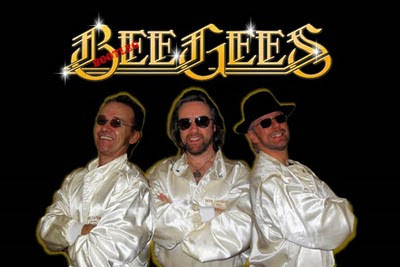 The Bootleg BeeGees are the number one tribute band for the seventies legends and have played all over the UK and Europe. So get ready to boogie as Saturday Night Fever hits St Ives. There will also be a local support band. Saturday 17th April - doors 7.30 pm. 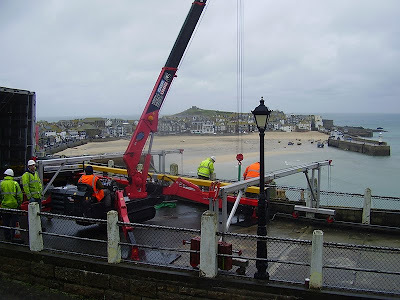 From: St Ives Tourist Information - 01736 796 297. 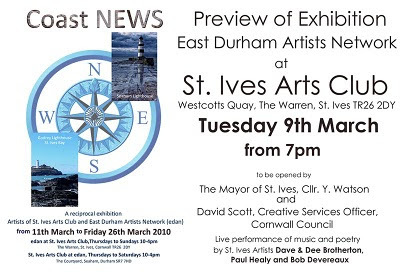 A new exhibition opens today at St Ives Arts Club - Coast News. EDAN are an artist led group and members represent a cross section of the visual arts. These include painters, sculptors, glass and textile artists, photographers and poets. Local work will include abstract and figurative paintings, poetry, textiles, films and original composed music including Cornish language songs. The two places share a common heritage including their coastlines, artists and a history of mining. The exhibition opens on Thursday 11th March and is then open Thursday to Sunday, from 10.00 am to 4.00 pm, running until Friday 26th March. Free entry. 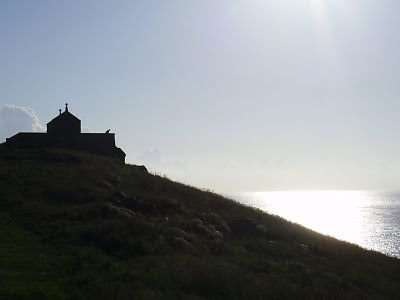 St Ives Town Council are planning to open St Nicholas Chapel on The Island this summer - but they need volunteers to help. This simply involves sitting at the chapel, opening the door for visitors and allowing them to look around inside. Each volunteer is asked to attend for a couple of hours each week, at times to suit themselves. An informal meeting to give volunteers the chance to chat through the arrangements for the coming season and ask any question will be held at 11.00 am on Monday 22 March at The Guildhall. Louise Dowe - Town Council Office at The Guildhall. 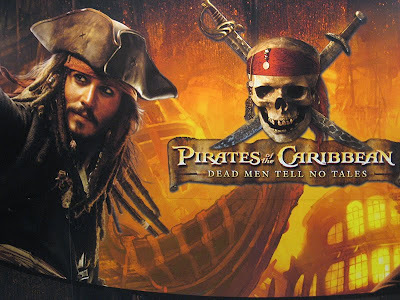 Rumours persist that Johnny Depp will be in St Ives this summer filming Pirates Of The Caribbean. The story has now moved on from The Sun to more reputable publications such as The Guardian and The Western Morning News. I've just spoken directly to the Disney UK Press Office. They honestly have no idea themselves if the story is true or not. They suggested that I call the production office in Los Angeles ! I'm personally beginning to think that it's not going to happen. Next time I bump into Johnny having a pint at The Sloop I'll ask him. If you see any pirate ships heading into St Ives Bay let me know. A story has just broken online that Johnny Depp will be heading to St Ives this summer to film the latest Pirates Of The Caribbean movie - On Stranger Tides. According to press reports he'll be starring opposite Penelope Cruz. Orlando Bloom and Keira Knightley will not feature in the new movie. 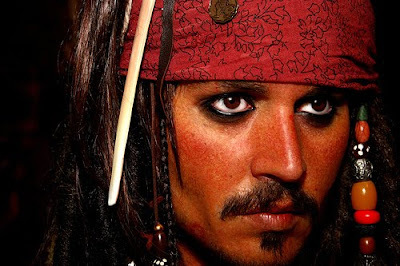 Johnny Depp has long been rumoured to be a regular visitor to The Sloop Inn, said to be hard to recognise as, surprisingly, he doesn't dress as a pirate when off duty ! I'll post more news here when I have more details.